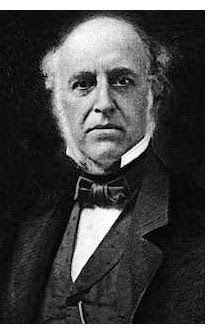 Thomas Bulfinch (July 15, 1796 – May 27, 1867) was an American writer born in Newton, Massachusetts. Bulfinch belonged to a well-educated Bostonian merchant family of modest means. Although Thomas Bulfinch reorganized Psalms to illustrate the history of the Hebrews, he is best known as the author of Bulfinch's Mythology, an 1881 compilation of his previous works: The Age of Fable, or Stories of Gods and Heroes (1855) The Age of Chivalry, or Legends of King Arthur (1858) Legends of Charlemagne, or Romance of the Middle Ages (1863) Bulfinch's Mythology is a classic work of popularized mythology, still in print 150 years after the first work, Age of Fable, was published in 1855. The compilation, assembled posthumously by Edward Everett Hale, includes various stories belonging to the mythological traditions known as the Matter of Rome, the Matter of Britain and the Matter of France, respectively.